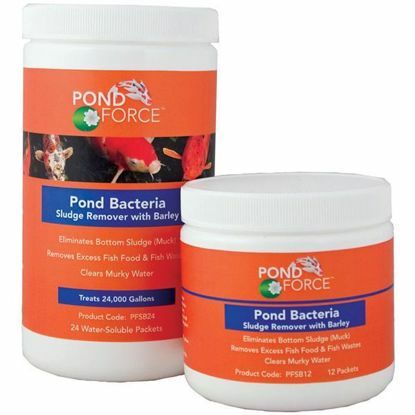 Pond Force 2-in-1 product contains both beneficial pond bacteria and pulverized barley straw powder and has been formulated for koi ponds and water gardens. Packaged in 1 oz. water soluble packets for easy dosing. Eliminated murky water, excess fish food, fish food and decaying plant material. 1 packet treats 1000 gallons of water. Clears murky water and eliminates bottom sludge. 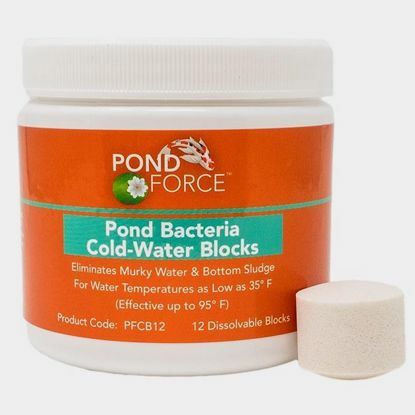 Coldwater Blocks are recommended for water temperatures down to 35 deg F. Also works in water temperatures up to 95 deg F. Helps jump start your pond in the spring by adding beneficial bacteria and removing decaying matter.